I LOVE Chick-Fil-A chicken nuggets! I don’t know why, but they just make me happy! They taste great and are probably just a smidge healthier than a Big Mac. 🙂 Wednesday night I was out of dinner ideas when a friend on Facebook posted about Chick-Fil-A. Instant craving. 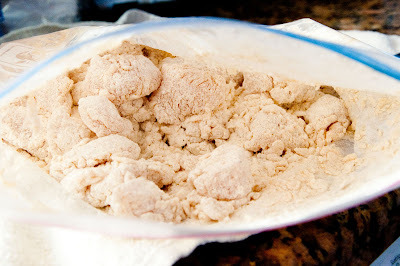 Then I remembered that I had pinned a copy cat Chick-Fil-A chicken nugget recipe! AND…I just so happened to have everything I needed to make them! I switched just a couple of things up to accommodate our tastes and what we had on hand. So here you go! Next trim the fat off of two boneless, skinless chicken breasts and cut them into bite size chunks. 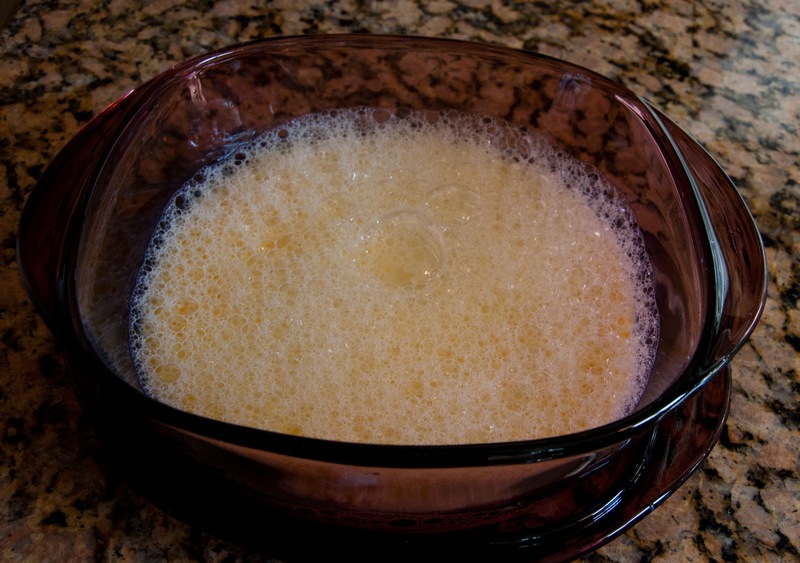 Put the chunks in the egg/milk mixture, cover and marinade for 2-4 hours. 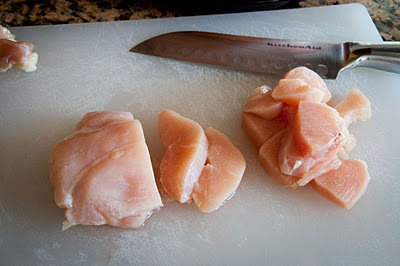 I could not believe how tender and moist this made the chicken! It was awesome! Use a fork or slotted spoon to put the marinaded chicken into the flour mixture. Make sure the ziplock bag is well zipped and shake away! 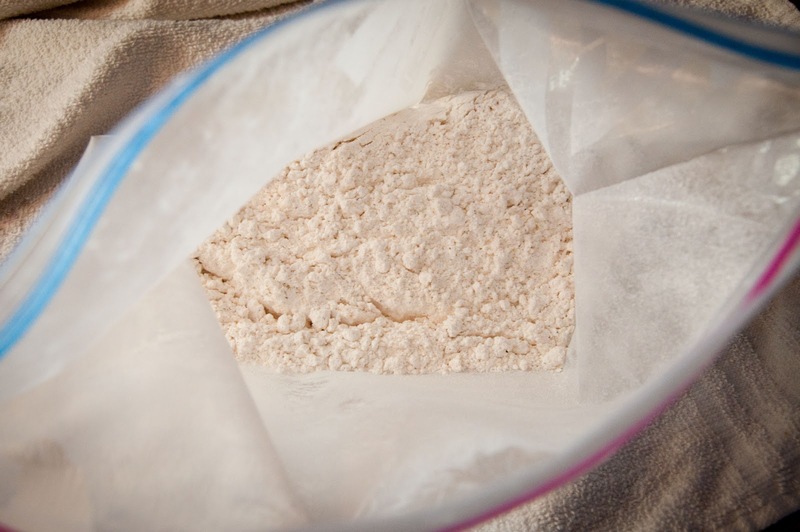 You want to make sure that all the chunks are covered well in the flour mixture. Heat about 1.5-2 inches of oil (we just used vegetable oil) to about 375°F. This is about a medium-medium high heat. Cook on each side for about 1-1.5 minutes. You don’t want your oil too hot or your nuggets will burn before they are completely cooked. Too cool and your nuggets will be soggy. Drain on a paper towel. 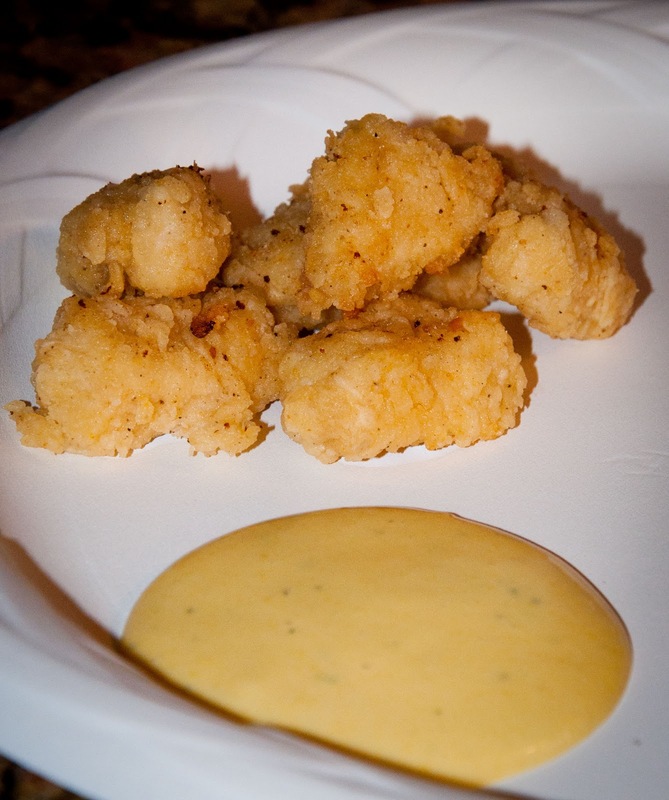 Serve with your favorite sauce (mine is honey mustard) and side and enjoy! This recipe got RAVE reviews from my family. My niece told me they were “DE-LISH-OUS!” and my nephew told me I was “a great cook”. My boys gobbled them up and I couldn’t stop snacking on them while I was cooking! I will hold the same stance as the original recipe poster…I’m not claiming this will taste EXACTLY like Chick-Fil-A, but they are really good and will definitely cure a craving! For sure a Pinterest PASS! © The REAL Housewives of Riverton, 2011-2016. Unauthorized use and/or duplication of this material without express and written permission from this blog’s authors and/or owners is strictly prohibited. Excerpts and links may be used, provided that full and clear credit is given to The REAL Housewives of Riverton with appropriate and specific direction to the original content. 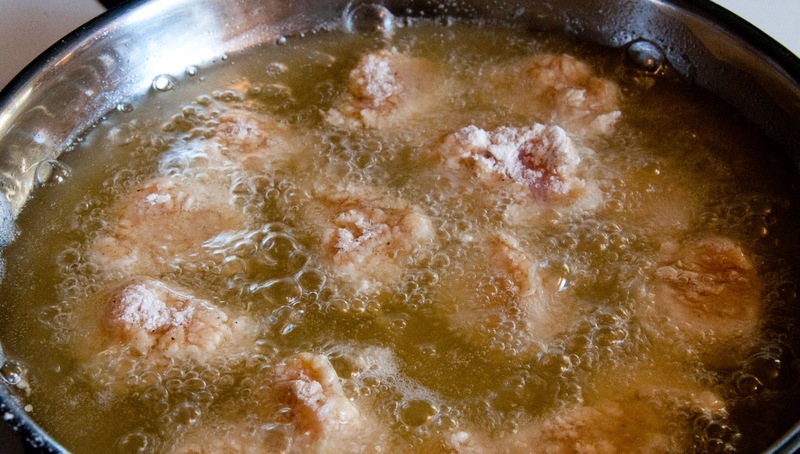 I believe the originals are fried in peanut oil – that is part of the distinctive flavor. Good to know Derick, we’ll have to try that. Thanks for stopping by and have a fantastic day! How close are they to the real thing? I’m so curious! I’ll have to try these soon too. Oh they look super yummy – and really easy to make! Thanks Jill! They are REALLY simple to make! These look so good. Great. Now I’m craving them. Thanks for linking up on TTT! Oh my, my grandkids would love these!! Coming over from Tasty Tuesday. I have never eaten at Chick-Fil-A, but your recipe looks really great. I will have to give it a try soon. Thanks for sharing. I can’t wait to try these!! Thanks so much for linking up to 2 Maids a Baking!! We love these nuggets!! Sorry I am getting over late to let you know–You’ve been featured at http://www.itssoverycheri.com in my Saturday Showcase. Awesome! Thanks for the feature Cheri! Try instead marinating in pickle juice for at least 2 hours( up to overnight). Then coat in the egg/milk mixture and then the breading. I think you’ll be surprised at how similar they are to chick fil a.